January was a month filled of adventure and summer roadies for many kiwis! 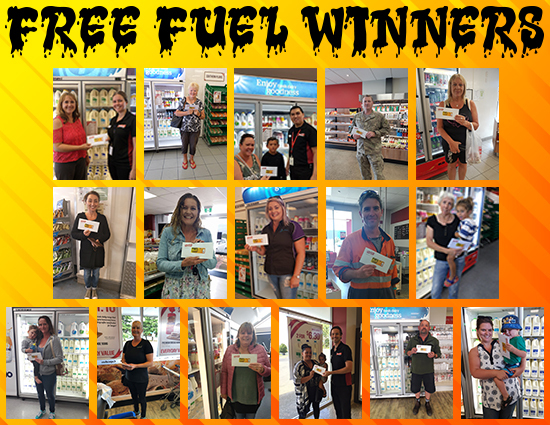 We all know the price of fuel has been on the rise and with summer trips an important part of the New Zealand summer, we came up with the perfect promotion to bring our customers! During the month of January (7th Jan – 3rd Feb) we decided to giveaway $25,000 worth of fuel! Teaming up with our friends at Fonterra we gave 25 people the chance to win each a $1,000 Mobil petrol voucher. All you had to do was purchase 2x Dairy Dale Milk and you had the chance to go in the draw! A massive congratulations to all our winners for this highly sort after prize! We would also like to thank everyone who entered. Don’t forget your reusable bags!